While I did receive the wrong color merchandise for my order, the problem was quickly and easily fixed. The staff was very helpful and pleasant. Your goggles are fantastic except for the fact that the nose bridge is not adjustable. I realize that my nose might be a little larger than average but all swimming goggles have an adjustable nose bridge. Perhaps in the future you might consider some solution in this regards. My order arrived within a couple of days - far sooner than I expected, having selected the standard shipping rate. I'm extremely happy with the coat. Thank you! Few clothing stores offer such good selection on victorian clothes at such good prices. I am the costume designer for the Aloha Performing Arts Center. I am thankful that you had the item I needed!! I bought a skirt, blouse and hoop to wear when my fiance and I get married. The quality was more than I expected. I'm looking forward to wearing it in May. Will send pics if you would like. great stuff! Great Service! Fast delivery!! I would to thank the Historial Emporium for your service and the quality of your goods. My order took less than two weeks to reach the UK, and is every bit the outfit I'd hoped it would be! I look forward to dealing with you again in the future. You have a wonderful selection of items. I wish H.E. could provide more accurate fit information specific to each article of clothing. Based on my original order of wah maker pants size 32 being way too tight (im a size 32) and having to pay the return shipping, I placed a second order for some frontier classics pants, and ordered a size 34. They are way too big, but im not going to bother paying return shipping again. Any advice more in depth than order a size up from your normal pant size might have helped prevent these fit issues. I cant afford to shop with Historical Emporium anymore. so far every thing has been great ! Excellent service, product was superior in quality. I don't have very MANY friends, who are Re-enactors. However, the ones I DO have, I will certainly tell them about You and Your company, and how Overall Pleased I have been with Your Service. Thank You for All Your Kind Help. 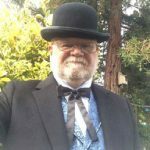 I am a member of the living History Re-enactors, and will be wearing my clothes to our next function. I am sure to be asked where I got them. My husband's hat was too small, but the return was easy, and we will see how that goes (I just mailed it back today for an exchange). You guys were awesome. I had some issues with the billing/shipping system but email communication worked out really well and everything got delivered to the proper place. I'm so excited to get to work on my next project. Fast, friendly, with good communication and high-quality products. I am extremely pleased! Great customer service, even on the returns. Thanks for your great products and the service to back it up! I found what I was looking for and it was easy to order as well as quickly received. Over-all I found it to be an excellent experience. Shipping was prompt and the products were of excellent quality. Will be purchasing from Emporium again! Excellent shipping time and product was amazing! Easy to order; Order was processed quickly; Received order very quickly. Timely and accurate. A little pricey overall. Thanks for the great products; I was also very pleased with the fast shipping. Fast delivery and good customer service...definitely be back. I love my silver pocketwatch. It is now a necklace! Very unique, I think. I've ordered from you before and am always happy with your quality and fast shipping. Just a note for the future, however, The tube the Parasol was shipped in arrived a bit crushed. Luckily all was okay but you should somehow find a better way of shipping such delicate items. Fascinating product range, unavailable anywhere else on the web (I know, I've looked, many times). Quality of waistcoats is excellent - considerably better than I'd expected. Just as importantly, communication is prompt, friendly and helpful. Service was great start to finish. Once order was received I was kept abreast of my progress through out. The orders arrived in a timely manner and I am very satisfied. I absolutely LOVE the style, color, and actually - everything about the vests that I ordered; however, your buttonholes are HORRIBLE. They all unravel extremely bad!!!!! I don't see how I can ever wash them or even have them dry-cleaned because they are already so sloppy looking and constantly ravel out. Very shoddy workmanship, whoever made them should be ashamed to put made in the USA on the label! I feel that you are filling a great niche for the costume community and would recommend you to other theater and opera companies. I also appriciate your quick customer service (Calling and emailing if something is out of stock, etc.) The one problem I see when I order from you is it seems it takes a long time for you to ship your orders. It is frustrating to pay extra for expidited shipping when producs don't seem to be sent out until several days after the order was placed. Is there anyway for you to shorten the time between recieving an order and processing it for delivery? I completely messed up my internet order from Canada on the weekend, due to a technical glitch ... I think it was the space in my Canadian postal code that did it. My fault... ordering on line is still a bit of a challenge for me. Anyway, when I called on Monday morning to straighten things out, the customer service person was incredibly understanding, patient, polite and helpful. That was hugely appreciated. Meanwhile, I'd like to mention how much I like your products. The quality is good, and the prices within reach. Nice. I'll be telling all of the members of our new historical costume club about your website and products. The men's clothing items are especially appreciated. Hard to find such things around here. I love your store! Although I am sending back 2 skirts for exchange. The size information is very different for each item. The waist size in the first skirt I ordered was a little small for me. The next two skirts I ordered (different style from the first) were a size bigger..alas they were huge and I have to order 2 sizes smaller. But I will see how well the exchange goes! The web-site was well done and the products are of good quality and prompt shipping. A+ for recommendation. Promptness, service and quality were very good. My only reservation about being 10 sure to recommend to a friend is that I don't have any friends who are definitely interested prospects. I would not have a reservation about recommending HS to interested parties. Love my stuff. When something I ordered wasn't in my size, I got a very quick notification about it. Will order again. Probably in a few minutes. I WAS ASTONISHED BY THE WONDERFUL CUSTOMER SERVICE I GOT ON THE PHONE...IT WAS GREAT. AND THE PRODUCT....LOVE IT!!!! HAVE SHOWED IT TO MANY FOLKS TAHT LOVE THE PERIOD WEAR!! I enjoy your site, and only wish I could afford more items from you, keep up the good work. My husband loved the pocket watch that I purchased for him. Enjoyable shopping experience with speedy delivery. The order was processed and therefore delivered in a very timely manner. Thank you! Already have to several of them! I appreciate the convenience and the prompt service. Everything I order came was in great condition the only problem was I tried to e-mail you about your boots but your site would not allow me to send a question it kept giving me a new code to enter if you would be so kind as to inform me what I may do to correct this problem I would like to place another order Thank you. I will tell everyone about your site should they need a trustworthy site. to buy from. You have a pretty good selection. Thank You.